February is such a fun month with preschoolers. We have World Read Aloud Day, Groundhog’s Day, possibly the Chinese New Year, National Book Giving Day, sometimes Leap Year, and of course Valentine’s Day. 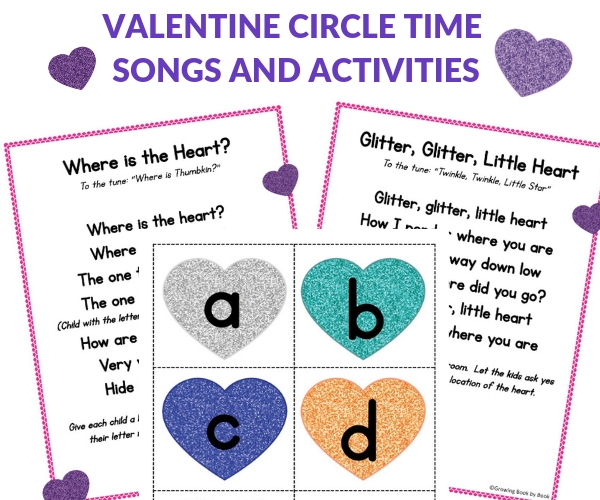 These preschool valentine activities are perfect to use during circle time. Try these two songs during circle time to build literacy skills. You can grab free printables of the songs and corresponding activities below. They say everything is better with glitter. Sing “Glitter, Glitter, Little Heart” to the tune of “Twinkle, Twinkle, Little Star” and then hide a glitter heart somewhere in the room. The kids then ask yes/no questions to try and locate the hidden glitter heart. It’s a fun way to help kids build their questioning skills. “Where is the Heart” is set to the tune of “Where is Thumbkin.” This song will work on recognizing letter sounds. The kids will love to hold their own glitter alphabet heart. As you sing the song, insert different letter sounds. If the child is holding that letter, he/she gets to reveal and then make it hide. Repeat several times until all the kids have had a chance to hold up a letter and then make it hide. Have you ever noticed that lots of Valentine-themed books are smaller than other books or the illustrations are intricate and dainty? Great for enjoying one on one or with a small group, but not so great for a whole group read aloud during circle time. 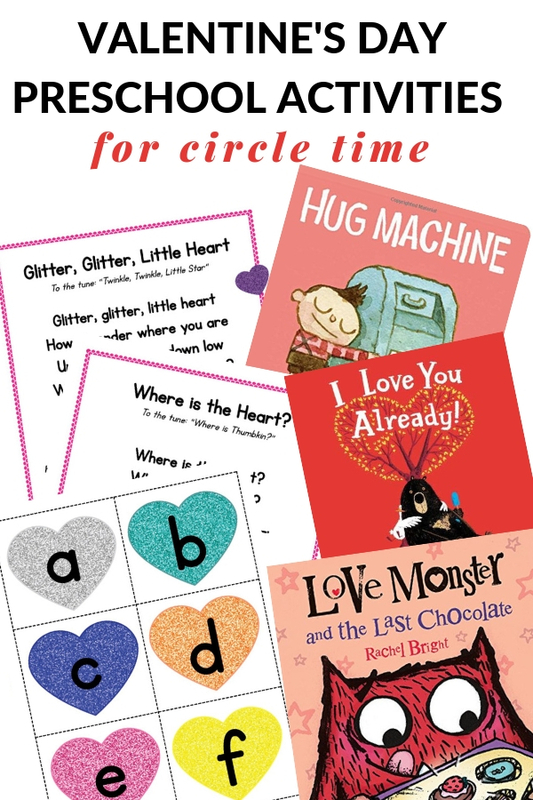 Here are a few picks that do work for circle time! Love isn’t always sunshine and roses. Sometimes our loved ones can annoy us. 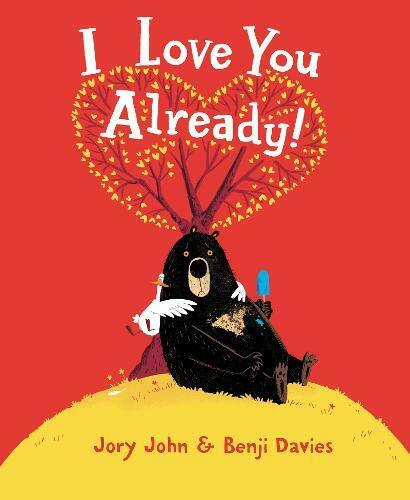 But in the end, love still stands between Duck and Bear in I Love You Already by Jory John. 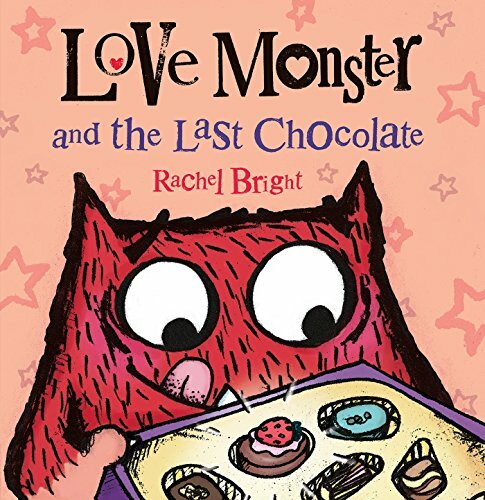 In Love Monster and the Last Chocolateby Rachel Bright, Love Monster discovers a box of chocolates on his porch. He really wants to eat them but decides that sharing them with friends would be even better than enjoying them by himself. Hugs can express love, comfort, and kindness. 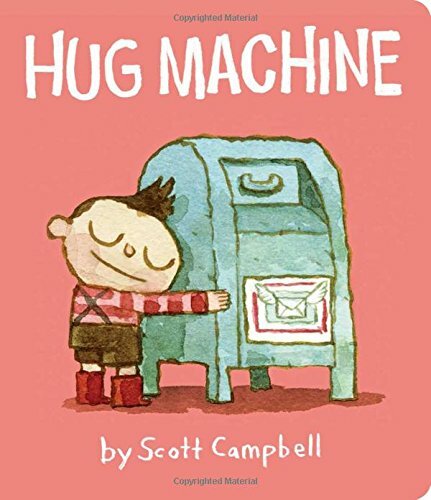 In the Hug Machine by Scott Campbell we meet a little boy who is spreading hugs everywhere. Ready to grab the preschool valentine activity printables to go with the ideas listed? They are a thank you gift when you become a free Growing Book by Book newsletter subscriber. If you love the activities above, you’ll love all the goodies we share each week our subscribers. Just click the subscribe button below and we’ll email you the printables as a thank you gift. You will also want to add these great songs that build literacy skills all school year. Get the popular 35 Circle Time Song and Chants to Build Literacy Skills.